Sisters with Stuff: One of the most unique money saving ideas I've ever read! One of the most unique money saving ideas I've ever read! You've got to read 20 Unique Ways to Save Money. 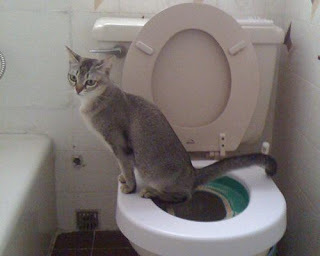 Some of the ideas were really unique, I thought this one was the best, save money by Potty Training your Cat. I don't know why I think this is so funny!